Earlier on almost all prospective NYSC Corp members who could not be mobilize for Batch B doubted us when we told them that there will another batch called batch C. Today that prophecy is now a reality. In this article we shall center on NYSC batch C stream II which are scheduled to be in camp any moment from now. We are still using this medium to urge all PCM who has not finish up with their clearance in their various institutions to hurry up and do so while there is still time for that now. We have it in good authority that those who are in batch C will have a fresh registration. Just keep calm we are going to provide useful details and step on how to go about that very soon. Please be visiting this page for more update on that. We also have it in good authority that schools has been directed to mobilize fresh PCM and they have been charged to meet the deadline as there is no time. All you have to do is to visit your school and do all that is demanded of you. Please bear it in Mind that it is your responsibility to make final enquiries from your institution. You have to ensure your name is on jamb Matriculation list. 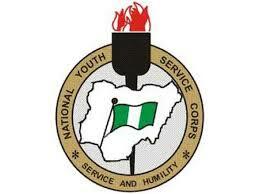 Check your name on nysc senate list for Batch C.